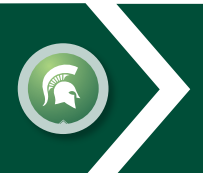 Michigan State University is seeking an Investment Analyst to perform a critical role that supports the management of its endowment assets. The position reports directly to the Chief Investment Officer and is part of a collaborative team that consists of investment and operations professionals, and student interns. • Working knowledge of capital markets, economics, investment mgmt. Travel: Nominal travel time required. Required Application Materials: Please provide CV, three letters of reference, and include the position ID in the subject if application is submitted via email.